Volume two in a series from a Japanese label called Aotoao that only releases 3" CDs. 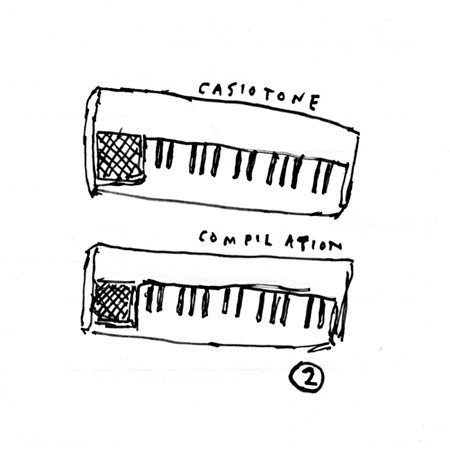 21 artists from around the world make weird pop music with Casios. As with the rest of the series, the cover art is by Owen Ashworth. Please note that 3" CDs will only play in top-loading or tray-loading CD players. Slot-loading CD players (like the one in your car) will not know what to do with this thing.